Talking Combat 061: My Undead Has A First Name – It’s R.U.S.T.Y. Jason recaps the events from Roll For Combat, Episode 061: Eoxbound and Down. Hello and Happy Thanksgiving! Today’s special bonus challenge will be to ignore the good smells coming from the kitchen long enough to recap this week’s episode. 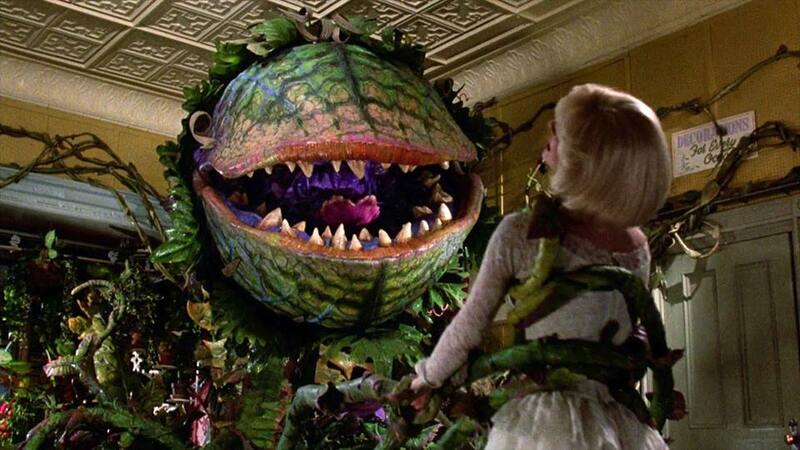 FEED ME, SEYMOUR! So the highlight of this week was the appearance of Amanda Hamon Kunz. These guest NPC appearances have always been entertaining, and Amanda was no exception, though I wish she could’ve stuck around a little longer. I’ve said this in relation to having other players (in the Society games) but I think it applies equally to having someone run an NPC – it’s good to get another voice at the table, another take on the character. I’m trying to frame this in such a way that it doesn’t sound like I’m criticizing Steve, but if you think about the number of roles the GM has to play over the course of a campaign, it’s hard to come up with distinct personalities for every single one. Especially in more of a roleplay-light campaign like we play. Maybe that NPC you did in Book 2 starts sounding like the one you did in Book 1. As a general pattern, Steve’s quest-giver “liaison” NPCs tend to be toward the stuffy and scholarly end of the spectrum, so I’m not sure he would’ve ever had Wynetta Trux be a tobaccy-spittin’ redneck. It was a breath of fresh air. It’s also double-neat because Amanda herself was the author of the module in question, so you’re experiencing the material with that extra layer of the author’s original intent. I don’t want to get too grandiose – “IT’S LIKE SHAKESPEARE PLAYING MACBETH! IN THE GLOBE THEATER!” – but maybe a little bit of “playing with the DVD commentary on” vibe. This week, we also finally got to the bottom of the Rusty mystery. Surprise! (Sorta.) Rusty is undead and has been since the akata attack way back in Book 1. Realistically, we probably saw this coming from the minute Steve started discussing the possibility during his interview with Erik Mona, but good to have it confirmed. For me, the mystery was whether Steve always knew about necrografts (Inside dirt from Paizo? Were there clandestine parking garage meetings involved?) or whether Steve had come up with a homebrew solution on the fly and then retconned it into the world of necrografts when those finally came out. In short, was Rusty infected with midichlorians, or did he gain access to an unseen Force that permeates and flows through everything in the universe? From Steve’s post-game commentary and from what I remember of the original events, it sounds much more like the retcon route. If I remember the original encounter in Book 1, it was a lot more like an injection of nanobots, which doesn’t really fit the necrograft model. Maybe you could argue the injection was emergency triage and then Rusty got actual necrografts when we returned to Absalom, but that’s probably overthinking it. The other thing I’m wrestling with is whether Tuttle would want any necrografts for himself. That’s a tough call. On one hand, Tuttle is very practical, and necrografts are nothing if not cost-effective. And there’s a certain level of “undead isn’t THAT strange” in his world. On the other hand, I do feel like turning himself undead would be a pretty big leap for him, and he’d AT LEAST want to think that through a little more before saying yes. I suspect he’ll come around once he realizes that turning undead would give him centuries to work on his research. Plot-wise, Wynetta basically gives us two paths forward. There’s a robbery at a flesh-growth plant (and you thought hot dogs were gross) or we can investigate someone who expressed Corpse Fleet sympathies and may have run off to join them. Since the flesh plant is right across the street from the necrograft shop, but I suspect we’ll be visiting both before it’s all over. And in fact, we manage to turn up a bone spur in the flesh vat (and another awkward conversation with Sean) at the first location before breaking for the day. Next time, we investigate Lead #2 and hopefully try to figure out who (or what) that bone spur was a larger part of. For now, I hear the call of Thanksgiving dinner, so I’m going to jump right into a food coma. Have a good holiday weekend and we’ll see you next week. Previous Previous Talking Combat 060: Excelsior!